Happy Monday Foxy Friends! 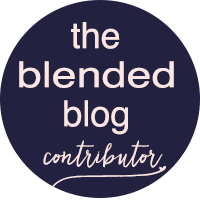 Today The Blended Blog sisters are starting a new series on how to organize different facets of your life. 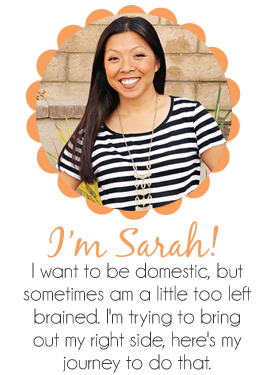 If you are stopping by from Christy's blog, welcome! Glad you stopped by! Since it is the beginning of the year, we decided we are going to start with planners, and how we organize our life. 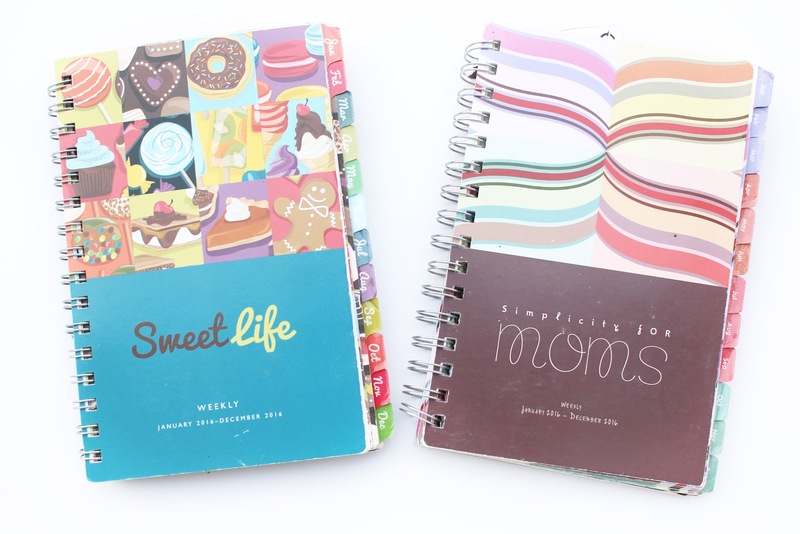 Let's go back a bit...say back to 7th grade, when my mom got me my first day planner. Yep, it was green and made of canvas and probably from Target...I used the heck out of that thing. 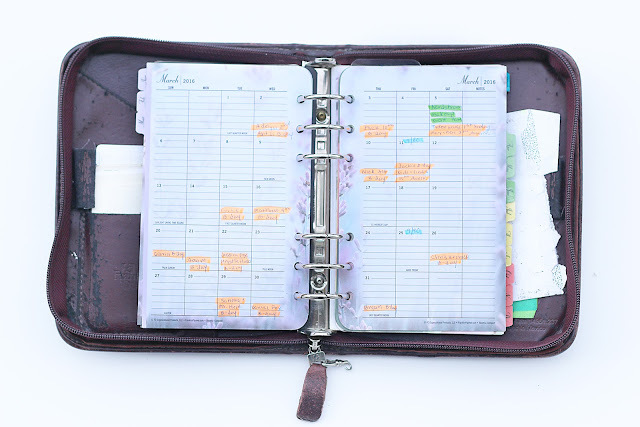 Back then Franklin Covey was the in thing to have, so a couple of years later she got me my first real leather bound legit Franklin Covey Day planner. 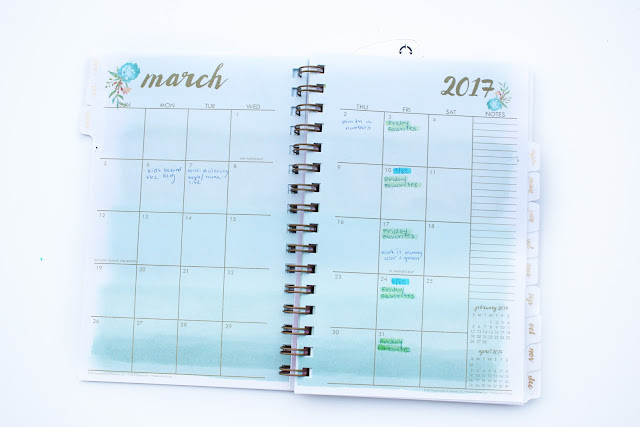 And the inside...yep I did all of 2016, then realized how much I liked the spiral bound planner that I bought for blogging, and decided it would be better to have another one for life, so I didn't have to lug this big thing around. Random Fact: I keep all of the refills...I don't know why, well one time I wanted to see when I did something, so I went to look it up in the calendar, so I could then go find the picture in my folders of pictures. This is just what I had on hand, the others are packed away in storage...I have a problem. 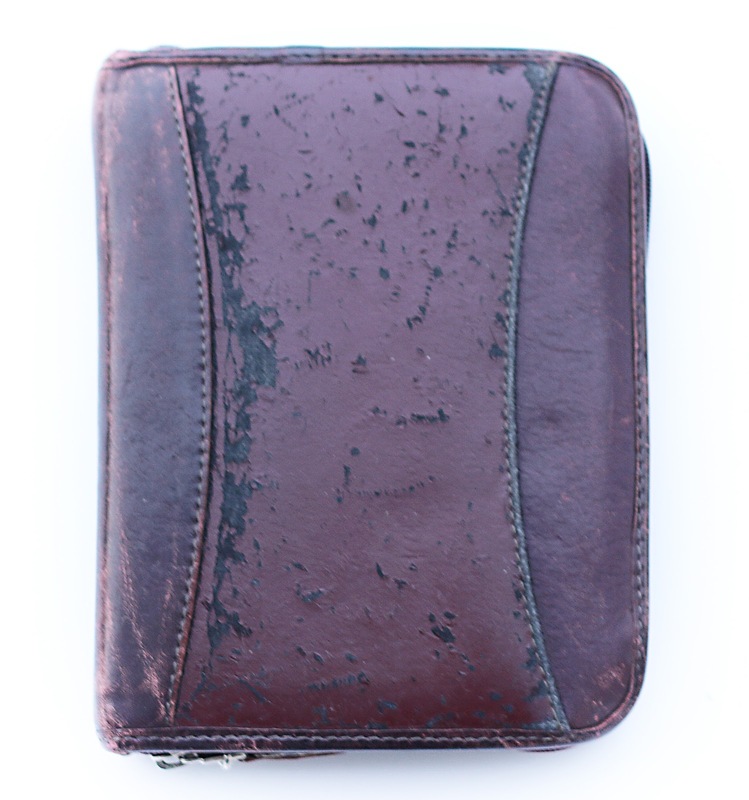 If I tried, I probably have every single year I've ever owned a Franklin on hand. Last year, I was about to buy my refills, but realized that Franklin had spiral bound planners? What?! Game changer. 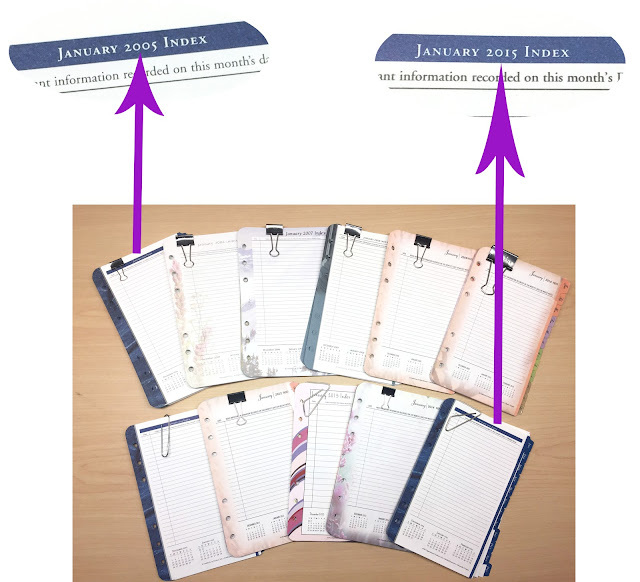 I decided that I wanted to get my blog more organized and didn't want to be scrambling for posts each night. 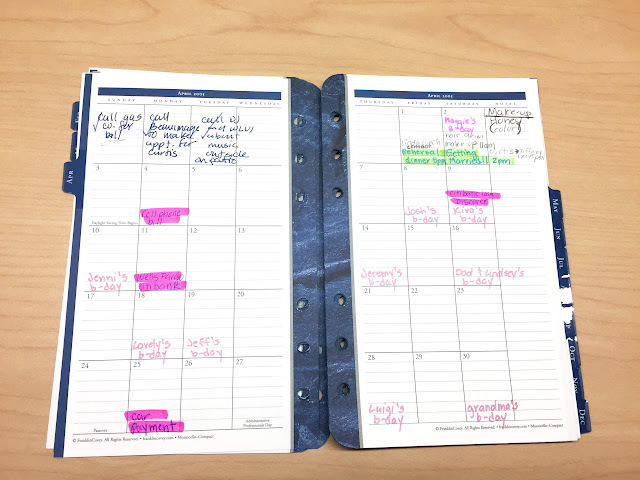 I bought a planner for my blog and then a separate for daily life. Wow, why didn't I think of this sooner? I know you want to take a peek inside. Back in college, when I was super bored in class and had a bunch of colored pens, I started color coding my planner. I did this so I could glance at my planner and know without having to read when things were due, when it was someone's birthday, etc. That then turned into highlighter. I've been using the same colors for at least the last 10 years. 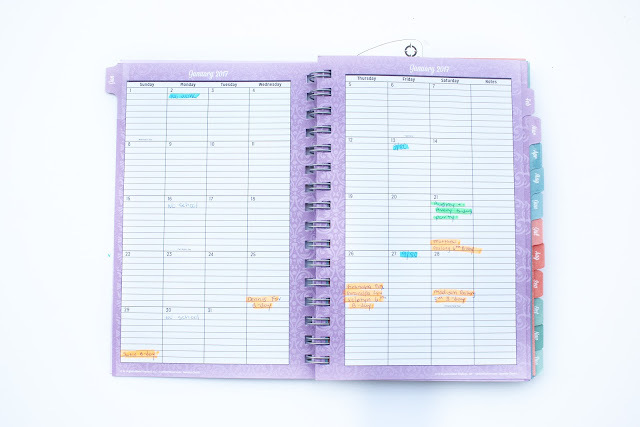 Then last year when I decided to separate my blog and personal life I used the same color coding for my life planner and then changed it up a bit for my blog planner, but still the same idea. 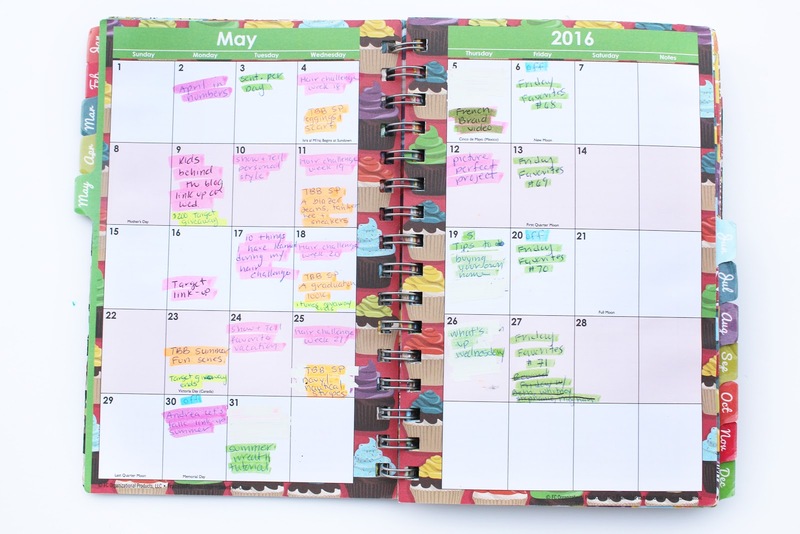 Pink is link ups, Orange is The Blended Blog related, Green is my own, Yellow is just good to knows. 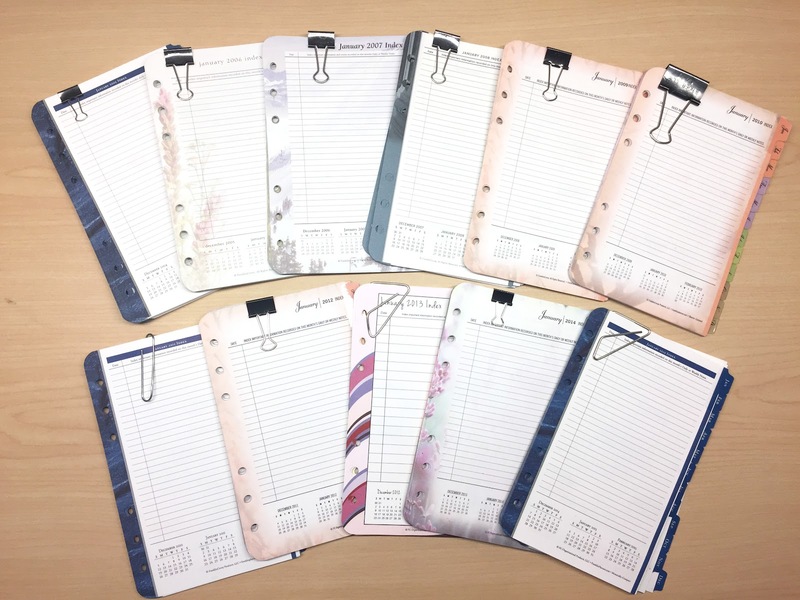 Here are my planners for this year. Daily life. When I get a new planner I fill out days off and birthdays and anniversaries first. Then life happens and the dance card starts to fill up pretty fast, and I wouldn't have it any other way. 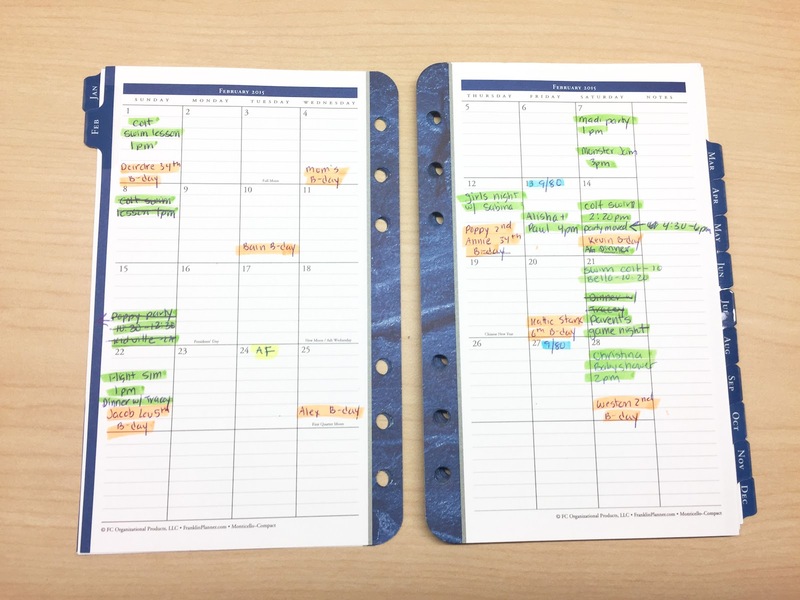 Blue is work things, green is something I have to do/a meeting, and orange is someone's birthday or anniversary. Even though you can't really see the print, you know exactly what is happening on what day. For my blogging planner, I start with what I know, so I enter when I have days off right away. 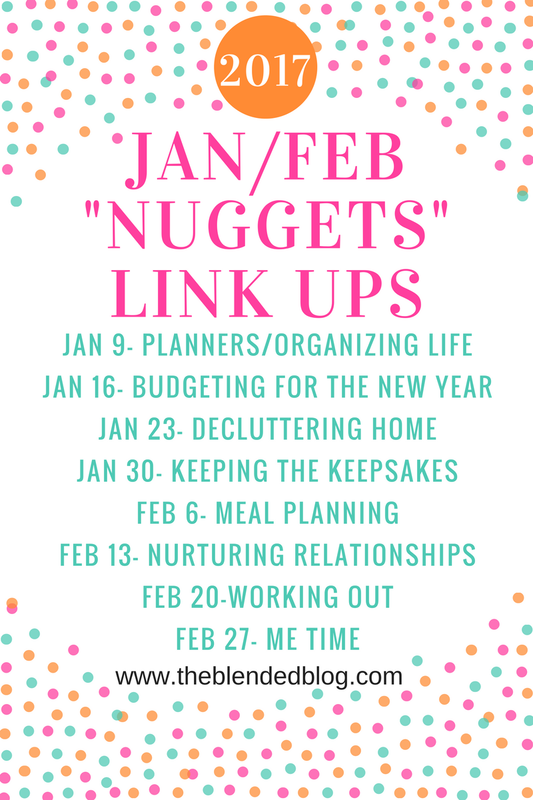 Then I add things that I always do, like Friday Favorites, and My TBB fashion link up. Typically I'll only go a few months out, just in case plans change. 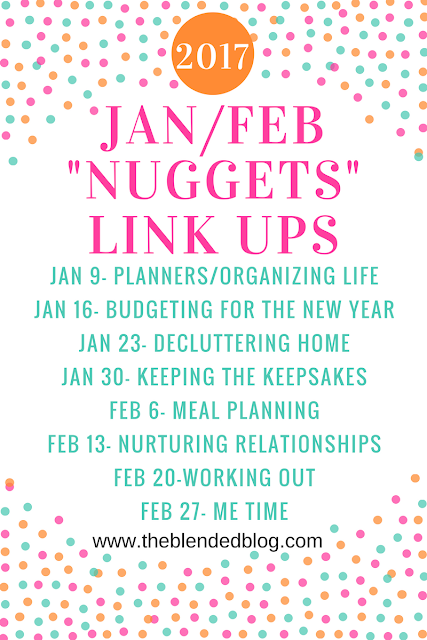 Then I fill in the link ups that I know of and want to participte in. I really like participating in Andrea's Tuesday Talk and Shay and Erica's Workin' Wednesday (used to be Stranded). I couldn't find my pink highlighter...might have to go buy another one. 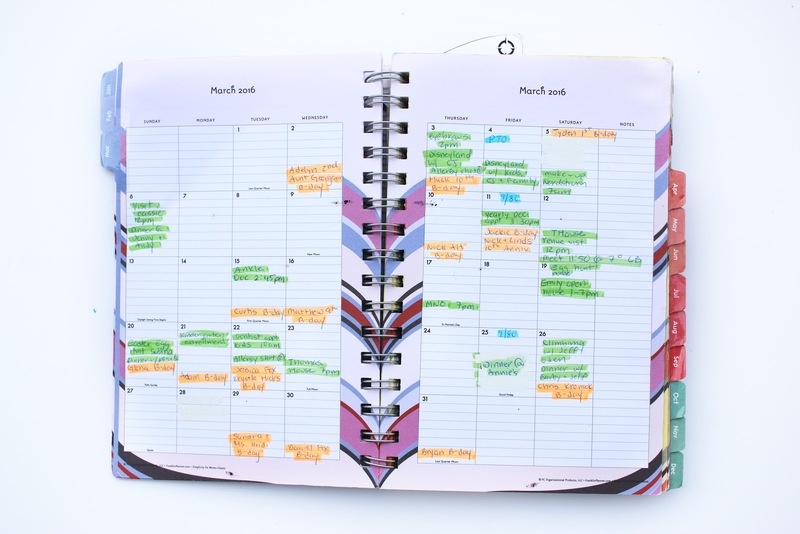 So that's how I stay planner organized. I love the Erin Condren planners that everyone is obsessed, but quite frankly I don't have time to sit down each week to decorate a planner and if I did I would be working on my actual scrapbooks that I'm 6 years behind on, lol! 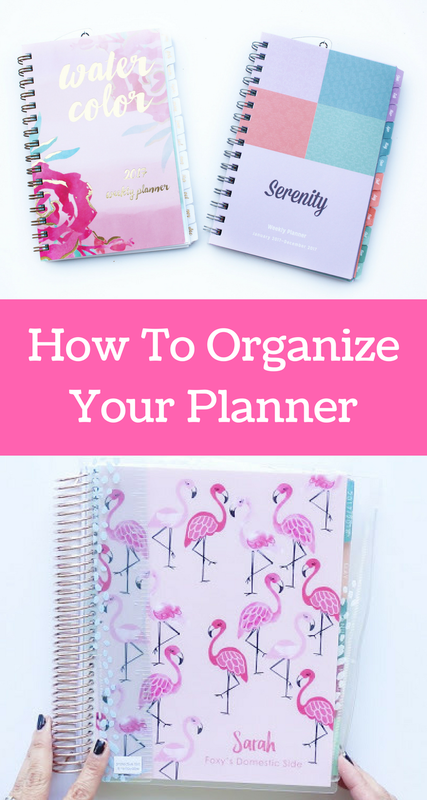 So how do you keep your planners organized? 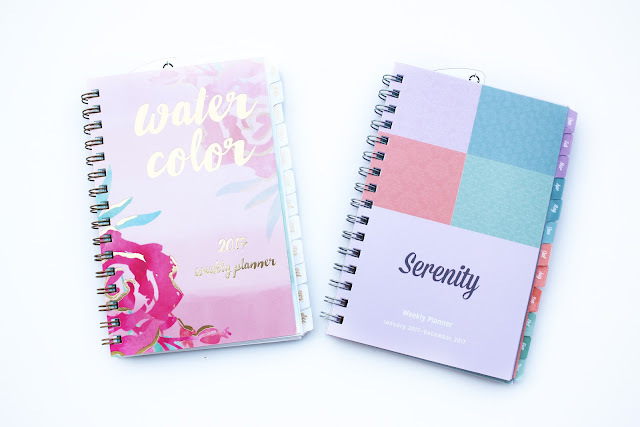 If you have read me first, hop on over to The Blended Blog to see how some of the other ladies keep planner organized! If you want to join us next week, we're talking about how we are going to budget in the new year. 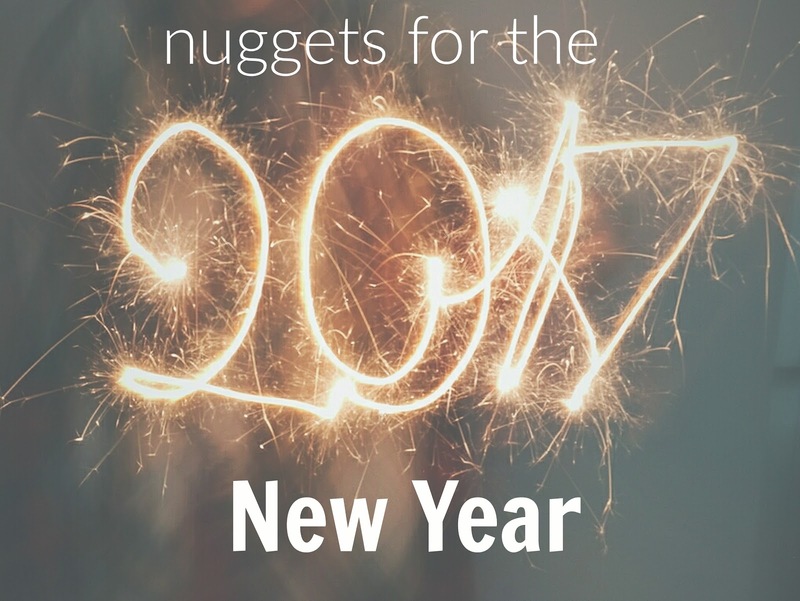 We'd love to see what works for your family! Join in on any of the topics for the next few Mondays.